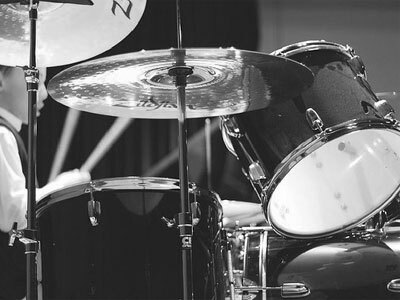 2112 currently offers Private Lessons to students of all ages and skill levels; We provide one-on-one instruction for Drums, Bass, Guitar, Piano/Keyboards, and Hand Percussion in all music genres. We are located at 1003 East Whitaker Mill Rd. in Raleigh, just outside of downtown Raleigh, minutes from the Five Points/Glenwood Avenue area and directly off of Wake Forest Road when traveling from Raleigh, Cary, Apex or Garner locations via I-440. All of our instructors are working professionals in the music industry and come from diverse performance and educational backgrounds. We carefully screen all potential instructors to ensure that only those truly committed to teaching are accepted. This ensures our students will not experience the frustration of having a different teacher every few months. Our staff can provide quality instruction for any need you may have, whether you are playing simply for enjoyment and stress relief, performing in a band of any kind, prepping for a college music program, recommitting to the study of an instrument as an adult, or just simply looking to pick up a few new musical ideas. We understand that students have different learning styles. As such, our staff is equipped to work with auditory learners, those who learn through listening, visual learners, those who learn through seeing and kinesthetic learners, those who learn through moving, doing and touching. We offer personalized lessons instead of a fixed one-size-fits-all curriculum. This assures that each student is allowed to pursue their main musical interest, while developing the skills needed to succeed if their musical interests change later. Our enrollment process and policies are very simple... we have NO ENROLLMENT FEES! Our payment schedule is on a month-to-month basis, not semester based and no long-term contracts. We offer personalized lesson plans instead of a fixed one-size-fits-all curriculum. This assures that each student is allowed to pursue their main musical interest, while developing the skills needed to succeed if their musical interests change later. With this approach our students remain excited about playing and keeps our drop out rates very low. Our entire staff is very proud to stress the importance of teaching all of our students to read and write music, where applicable, for the instrument of their choice. With this, our students will be prepared for future professional opportunities that require this skill. We offer a positive, inspiring and growth-oriented environment for our students. Our goal is to inspire our students to enjoy making music now, and for a lifetime! Monthly tuition payments are due on the first lesson of every month. For families with two or more students enrolled at the school we offer a $10 per month discount for each student. Please keep in mind that our instructors depend on tuition fees to support themselves and their families and as such prompt payment is appreciated.